What are your favourite sounds? Since I am a photographer you might think I am a visual person, and I am. But I am also very much an audio person and I love sounds, not only music but all sounds – well, perhaps not literally all ;)!! Many years ago I listed my favourite sounds so I thought I would share some of them with you. This is such a beautiful relaxing sound, especially at the end of a long walk as the evening light settles over the coast and everyone has gone home – the time when in the words of the poet, ‘All is left to darkness and to me’. 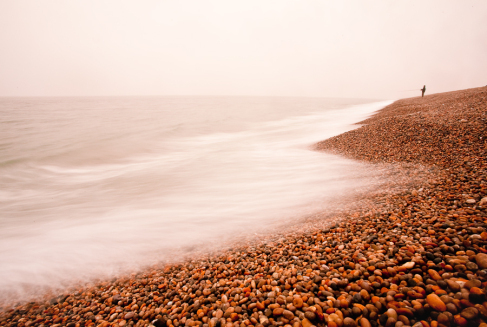 Sitting in the solitude on one of Dorset’s shingle beaches with the gently washing surf is special. Previous Of two ridges, the devil and heaven, amazing views, and an old mill but no stream! Next To Live a Creative Life! You’ve nailed it with the skylark and the log fire for me. Both sides of the seasons in those sounds. I’d learnt recently from a documentary that there are libraries of animal sounds captured. We might not notice but these add to the visuals we capture on through our lenses! I think the problem is we miss a lot of sounds, but if we consciously focus on listening, it’s amazing how many different sounds there are around us.